Buffer is Deep Space Marketing’s preferred social media scheduling partner. Sure, you can use Buffer to schedule posts on Facebook, Twitter, LinkedIn and Pinterest, but now they have added Instagram reminders. This feature let’s you set up an image and caption, and then at a time of your choosing, your notifications will remind you to post. Instagram still doesn’t allow any third party to schedule posts so Buffer reminders are truly the next best thing. Do never ending email threads drive you crazy? Then you should consider switching your company communication over to Slack. Deep Space Marketing has a number of our clients using Slack. Its ability to separate conversations by channel (subject) and instant messages is a huge productivity boost for everyone. You can also upload images and videos to Slack, making it perfect for a client to share content with us, allowing us to post on their social media profiles in almost real time. We use the Slack app on our iPhones, iPads and have downloaded the desktop version too so you never need to miss a message. 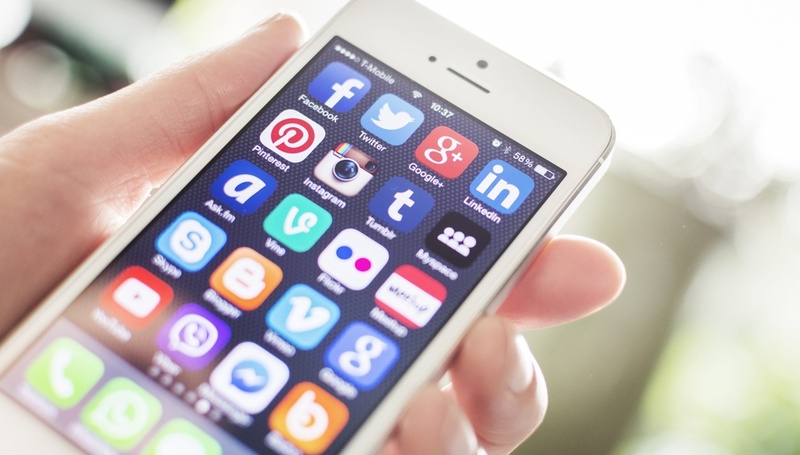 There are quite a number of social media apps out there to keep you organised. At Deep Space Marketing we have been Evernote users for the last couple of years. However, when they announced the free plan was going to be restricted to two devices it was time to look for an alternative solution. Enter Google Keep. As you might expect it integrates seamlessly with your gmail account (we use gmail as our Deep Space Marketing email client) and set up was a breeze. Notes are simple and intuitive to take and ‘keep’ with a label system that any gmail users will be familiar with. Again, the app is on our iPhones and iPads so when we are taking notes in a meeting offline everything syncs up when we hit wifi. This app is free, easy and a no brainer!